Whenever I’ve needed a kid’s perspective, I turn to Sarah of No, Whey Mama. 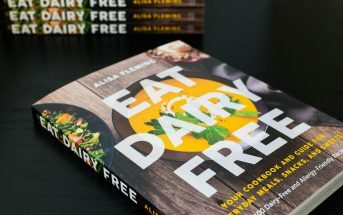 Her daughter Katherine has had a severe milk allergy since birth, and she read her way through numerous dairy-free children’s books over the years. Some were specifically for milk allergies, while others more broadly covered allergies or social challenges related to special diets. Since the holidays are approaching, we decided to gather together highlights from Sarah and Katherine’s favorite dairy-free children’s book reviews. Perhaps they will inspire as gift ideas for food allergic kids, their friends, their parents, or even classroom teachers. Since Katherine is now a teen, and helps her mom create recipes for our Kids Can Cook section, she hasn’t reviewed some of the more current titles. Fortunately, I have! I write book reviews for Allergic Living magazine and cover many children’s books. I’ve stumbled across many gems and have included those here, too. 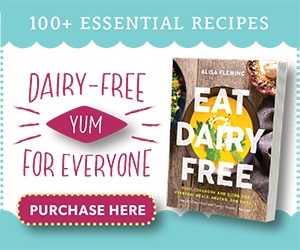 There are actually a few titles that very directly target dairy-free. That isn’t to downplay the other food allergy-friendly children’s books in the next section. 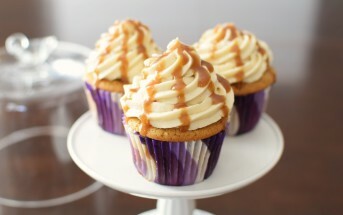 Those are great for milk allergic or intolerant kids, too. But these have that extra element that relates specifically to the confusing world of dairy. This book was on heavy rotation in Sarah’s house for many weeks after it arrived. A Christmas book! About dairy allergies! Clearly this was written for her family. After the first two readings (one right after the other), Katherine kept saying, “Santa is just like me! He can’t have dairy–just like me!” Eli loved the cartoon-y drawings, especially the ones of “Ho ho ho” (Santa). 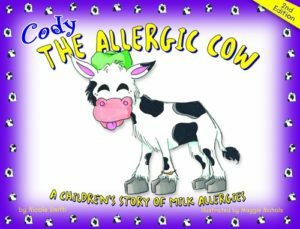 While they had read books about other allergies, this was their first dairy-only book, which Katherine loved. 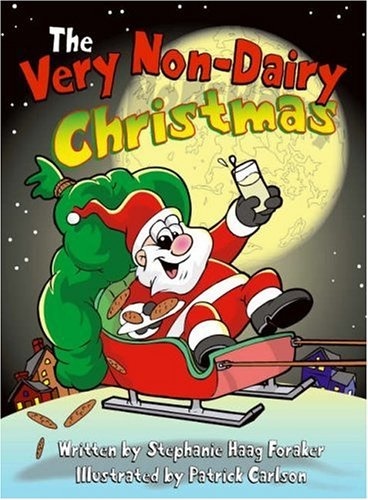 And the fact that it’s about Santa is the icing on the dairy-free cake. This well-loved book teaches milk allergic and intolerant kids how to be proactive in situations where they can’t eat the provided snack. 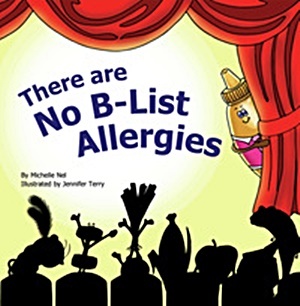 Also cutely illustrated, this title is part of a series of books on different food allergies. Other popular titles from the No Biggie Bunch include: Trade-or-Treat Halloween, Peanut-Free Tea for Three, Everyday Cool with Food Allergies, and Sports-Tastic Birthday Party. 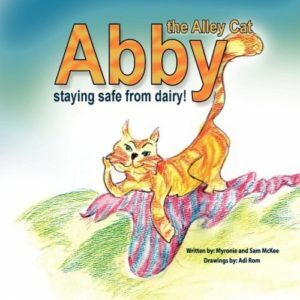 Abby the Alley Cat: Staying Safe From Dairy! This adorable book definitely hits the mark. As a first-grader, Katherine found the Seuss-esque rhyme scheme and repeating refrain (“Staying safe from dairy is my goal, So I will not touch it with a 10-foot pole!”) easy to read. And two-year-old Eli liked the cute drawings by illustrator Adi Rom. I like the positive, upbeat message and the allergy-related information for parents included in the back of the book. In addition to the book, there is also a video available for purchase. It is done in a Reading Rainbow style; the narrator reads the story while the camera pans in and out over the book’s illustrations. I’ve heard good things about the following dairy-free children’s books. But since we haven’t read them yet, we can’t weigh in with any personal review notes. 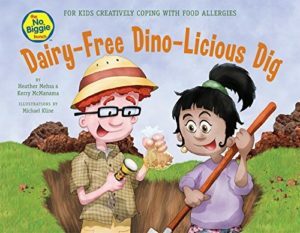 These may not be titled specifically as dairy-free children’s books, but each one has a lot to offer kids with milk allergies, multiple food allergies, or intolerance. They all cover the challenges that little ones can go through when they have any type of limitation. Some of the writing below is excerpted from my original reviews for Allergic Living magazine. 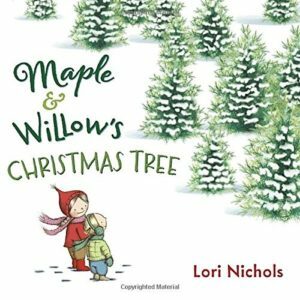 Popular children’s book author Lori Nichols brings the everyday challenges of two young sisters to life. In this seasonal tale, the pair gets to pick their very first live Christmas tree, but they soon discover that it makes Maple sneezy. It isn’t a story of food allergies specifically, but a Christmas delight that covers seasonal allergies in a way that I think carries over to all allergies nicely. Not to mention, I think there are many milk allergic kids with hay fever out there! The simple, sweet writing shares both sides of the story, including the emotions of anger, acceptance and compassion that non-allergic sister Willow goes through. And in the end, a small gesture shows us all what the holiday spirit is really about. Kids with milk allergies often feel misunderstood. 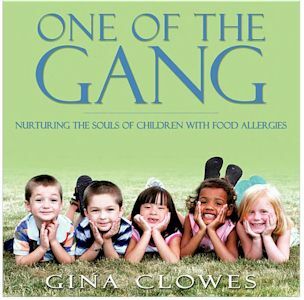 But this book sheds light on how others may be dealing with even more obscure allergies. Leading food allergens get top billing on the labeling law red carpet, and consequently receive the most acknowledgements in schools, restaurants and even among friends. But this adorable children’s book demonstrates why all triggers deserve equal recognition. Offering solace to kids with rarer allergic reactions and education to those without, the author intertwines an impressive array of players, from wasps, exercise and penicillin to beef, squash and plum. Her lyrical writing style encourages fun interaction between the whimsical prose and the bright illustrations, which offer fun star-spotting appeal. This is probably my favorite children’s book for food allergies to date. 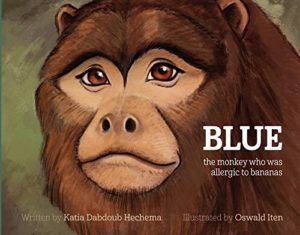 The narrative follows a howler monkey through diagnosis of his food allergy to, of all things, bananas. Typically tough issues, like visiting an allergist for a skin-prick test, are softened with the use of comforting animals and warm illustrations. And though cutting out a key dietary food seems daunting, Blue discovers another delicious option and quickly values feeling good above all. 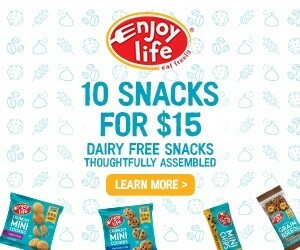 I think this message is key for milk allergic kids, since dairy is so pervasive in our society. The title and beautifully sketched cover of this touching tale paint a slightly somber story. It’s true that moms may get a little teary-eyed, but only due to the happy ending that greets Blue. Bound to become a hardcover classic, this whimsical tale cross-pollinates human food allergies with an adorable flying insect scenario. 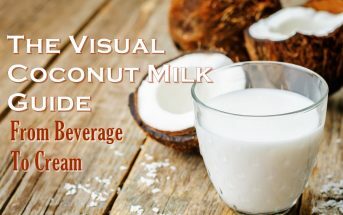 The take home message isn’t dairy-specific, but is intended to help kids understand the essence of living with a restriction. 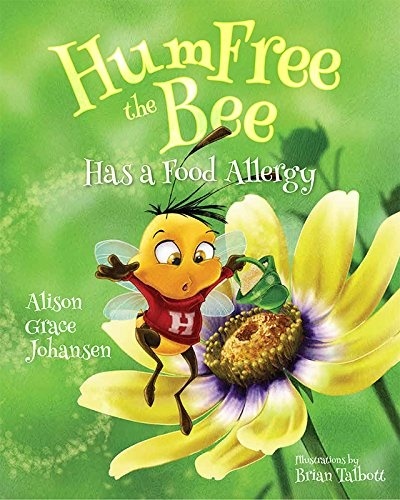 HumFree’s “food allergy” is to yellow and blue flowers, but he learns from his mama and cousin who have the same allergies how he can enjoy the pollen of so many other plants. 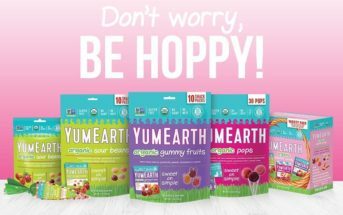 Once HumFree is “liberated” from his food allergy, he enjoys feeling healthy and plays with his friends on the pinks, oranges, greens and purples instead. 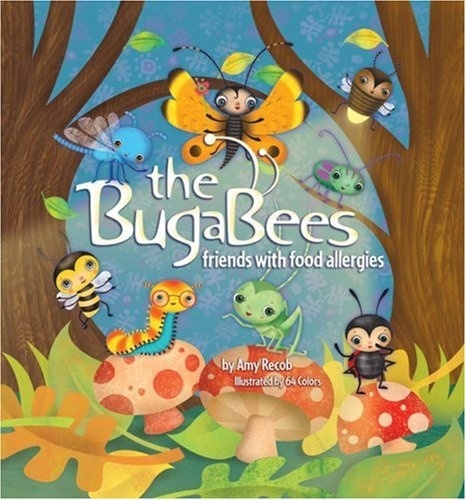 These allergy-friendly children’s books have received kudos from some food allergy moms that I know. But since our little team hasn’t read them yet, we can’t weigh in with any personal review notes. Which are Your Favorite Dairy-Free Children’s Books? It is basically around the question ‘why allergy?’ and ‘what is it?’ Basically, it is about a little girl who misses out on party food and is not allowed to touch Easter Eggs, but she gets to them anyway, has an allergy reaction… Happy ending including a birthday party with ‘safe’ food. Thanks for sharing this Marina! My daughter is looking over my shoulder and very excited about these books! She has no allergies, but they seem like they would be great to teach all children to be understanding of allergies in others. Yes, I think so. Maple & Willow is especially good for that, I think. Thank you for this amazing list of children’s books! I’m always looking for a good book to read to my son’s classroom. I had no idea there were so many books but I don’t have children with allergies. Looks like a great collection though and I’ll be sure to share it with parents of children with allergies. What fun memories! And what a great list of books! I thought this would be a little nostalgic for you Sarah!